For more time between refills - Check out the Joye 510-T XL tank cartridges. This is the direct descendent of the Joye eGo Tank System and the latest industry innovation from Joye Tech. It combines the innovation of Joye eGo-T and the most popular mini e-cigarette on the market, the Joye 510. The massive advantage of Joye 510-T is it's tank system which enables users to drip 0.5ml of e-liquid in to its tank cartridge. 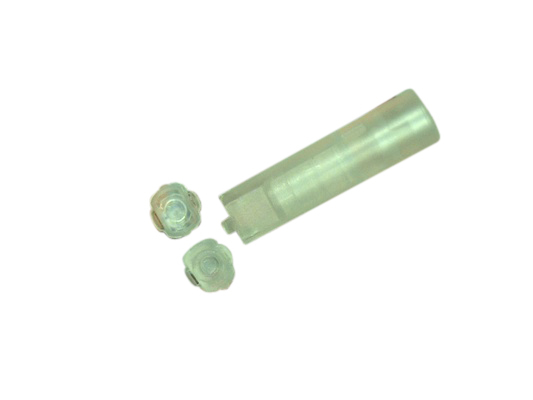 The cartridge has no polly-fill or other wicking material inside. The Joye 510-T atomizer will only work with Joye 510-T empty cartridge. The manual Joye 510 batteries have no cut-off time. It works until the button is released! The 510-T Manual Starter kit does not come with any e-Liquid or pre-filled cartridges so we recomend that you purchase e-Liquid with your kit.